Size: 4.3" x 2.3". Designed for a half bottle. Wine label design for gluten-free brewing company. 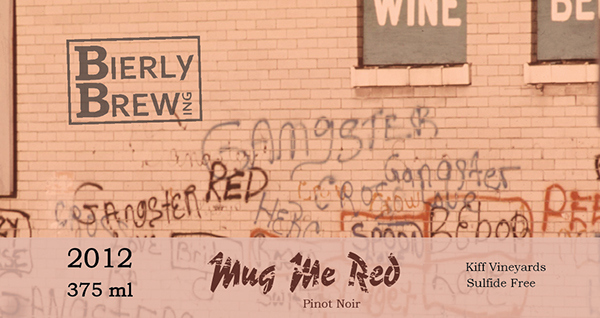 Client proposed graffitti motif, and wanted something "grungy" to complement the name of this wine.